The EG speed log appears to have a problem and may need to be replaced. Also the chart plotter has just decided to malfunction and is currently in for repairs. Owner is open to proposals to exchange for a motor boat between 30 and 50 feet plus cash to make up difference. Another great example of this timeless luxury ocean cruiser. The boat was with the first owner for 15 years and used as an ocean cruising live aboard and has been kept in a remarkably good condition. 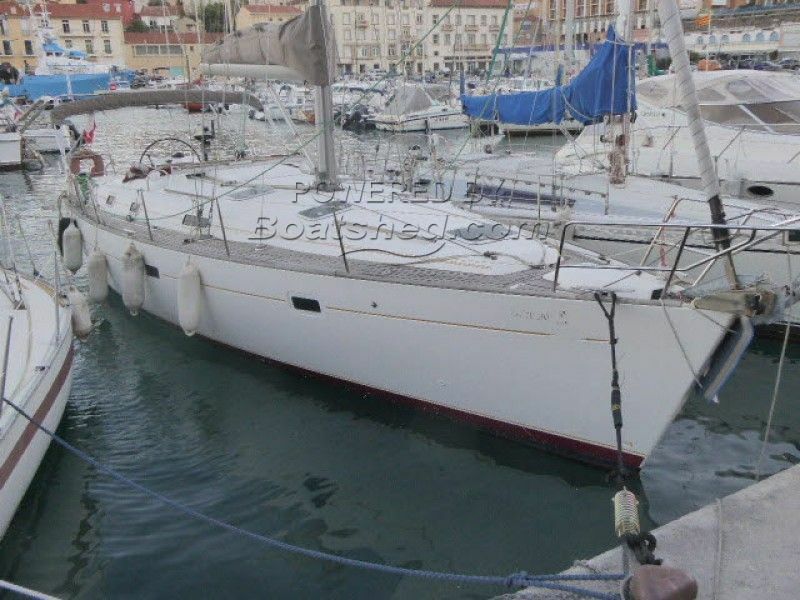 The present owner is fairly new to yachting and has now had several boats on his way up to finding his perfect boat. He has owned this boat for two years, during which time he has spent a lot of time money bringing it up to its current condition. The boat has never been rented out or chartered and has all the original manuals etc. This Beneteau Oceanis 411 Ocean Cruiser 2 Cabin Layout has been personally photographed and viewed by a representative of Boatshed Sud Med. Click here for contact details.